Interesting to us as horse people, we find those who tracked the spread of European Language, can be, ironically also noted for finding, somewhat, the beginning history of the “domesticated Horse”. Until recently, those descendants of goat and sheep herders who formed the Yamnaya culture in the steppes of today’s Ukraine and western Russia about 5,000 years ago, were thought to have domesticated the horse. . . This information led us down the road of confusion in the actual matters of Horse History. It is believed they rode the subdued animal, as they spread southeast, which also brought the Indo-European group of languages to Anatolia (a vast region mostly in today’s Turkey), which is not of our concern here as much as the horse, and horses existing and domesticated before this situation. Theories arose from this, and too many questions developed that required answers. As archeology changes our world with new discoveries and bone piles/civilization finds, among other research and discoveries due to new findings, the landscape remains in a constant flux of “finds” and history updates. Theories based upon “finds” develops, and in this case scenario we find a completely different type of nomad, and a different horse link. This particular nomad tribe, a smaller group named the Botai, who about 500 years earlier east of the Yamnaya, in Kazakhstan – in reality, domesticated the horse before the Yamnaya. With further insight, we can correlate this news with previous “finds” and understand we may be looking at the relationship of these recently discovered horses to our wild horses of today — even though, this situation sparks questions left unanswered, we can lace-together previous discoveries and to actually understand how all of these links fit together. What is neglected in this particular “find” is that the horses were wild, before being domesticated; thereby, the theory of wild horses non-existent today is simply in error, and no longer credible. — and at that time, as other dissociated evidence from other “finds” in the Americas, lends new credibility to the horse existing there after the Plesticine Era (as we find more bones from the Plesticine Era horses in Washington, Oregon, and Utah), and the pieces of the puzzle of horse history start to come together, better than before, and with more details. As things do happen in research and archeological digs, when one door opens many more open as well, we discover genetic analyses of the Botai led to startling conclusions about the origin of today’s horses. History changes again. The “Old Guard” sneering and shaking in their boots of conservative mind-sets, once again grow uncomfortable at the younger upstarts, or those who do change our history, and with evidence to back it up entirely. The Eurasian steppe is a vast grassland stretching 8,000 kilometers (about 5,000 miles), from Hungary and Ukraine in the west through Kazakhstan to Mongolia and China in the east, and into Siberia (and just what we needed to know — confirmed — a missing link). The Botai lived in what is now Kazakhstan, from about 5,700 years to 5,100 years ago. It is among the Botai that archaeologists located the oldest evidence of horse domestication (found so far, at least): Pottery with traces of mares’ milk, and horse teeth that seem worn down by bits. No evidence existed at this find as to where the horses come from, rounded up from where, then to domesticate; thereby, according to them, the horses just showed-up and ready to be ridden– and thereby, the problem of horse history done by non-horse people — as they did not just show up and were domesticated. Now we begin to understand the principle of why theories exist — and when based upon evidence, we can also postulate these theories very accurately — and define them accordingly. 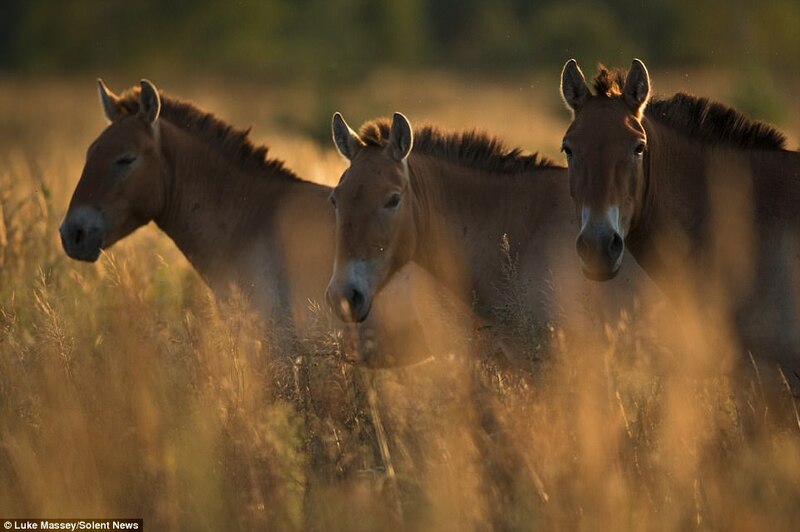 Genetic analysis of Botai horse-remains, and what was thought to be the only surviving wild horse – the so-called wild Przewalksis – by the French National Center for Scientific Research and Université Toulouse III–Paul Sabatier, resulted in some unexpected findings. Final unexpected conclusion is that the horse was domesticated not once but twice. That’s according to the molecular biologist from the Natural History Museum in Denmark. . .
Maybe the Botai did give the Yamnaya the idea of how to train horses. But to be clear, the Botai were not ancestral to, or even related to, the more western Yamnaya, reported the researchers. This is where knowledge of horses, their survival skills in wilderness, and their capacity to be rounded up and domesticated come in — and more questions develop here as well, in the matters of where the wild horses came from . . . It is speculative, but likely that when the two groups, or tribes, did encounter each other, they fought. Hostility with the Botai explains why, when the Yamnaya-related groups meandered eastward, they didn’t strike roots mid-route, but continued all the way to the Altai Mountains of Southern Siberia – thousands of kilometers in distance. There, these pastoralists who came from eastern Europe became the forefathers of the culture called the Afanasievo. This far-flung wandering by the Yamnaya fits with Russian literature, which indicates that Botai descendants were warring with them. Why would they clash? “Probably because the descendants of the Botai people didn’t like their hunting territory being overrun,” as one researcher speculates. As for the Botai themselves, following their Bronze Age existence, their homeland central steppe was totally overrun by groups coming in with wheeled-vehicles, horse drawn and ox-drawn carts — horses once again, we find, already domesticated, but more different blood-lines? Working horses developed?. Indeed, to get away from the incoming population of people, the descendants of the Botai hunter-gatherers retreated into the forest-steppe, with their horses. 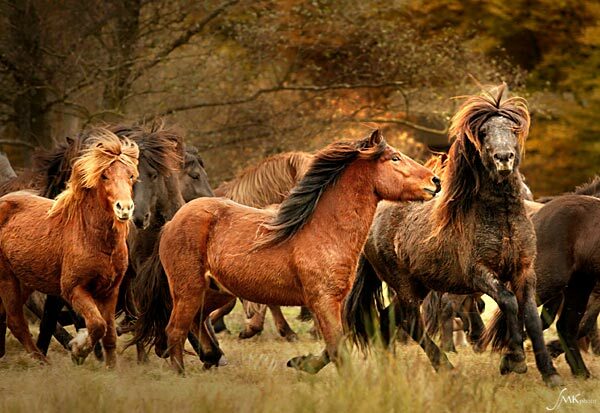 Did they develop another lineage of horses? Not so impossible, when Waring tribes of people gather other tribes horses, when winning the battles. Perhaps the missing X-Gene so often discussed when found in blood-samples or DNA complex dynamics, but no one ever examines the possibilities of discovery, or at least admit it was discovered, yet. . . These relocated Botai may even have been considered the highly nomadic forest groups of Siberia (thereby, the confirmed Horse Connection and into the America’s), who left a pattern of burials from Finland to Mongolia from about 2100 B.C.E. to 1900 B.C.E. (known as the Seima-Turbino phenomenon). For our interests, this shows us the Botai tamed horses before the Yamnaya. But it seems that, wherever they rode their horses, neither of these groups went south to Anatolia, which Indo-European languages began to arise there, and from this period onward has nothing to do with the trail of the horse. The non-existent trail southward, but rather eastward and into Siberia, the actual trail for the horses through Siberia then southward, confirms not only evidence and further information horses existed in the America’s, but also confirms several hypothesis theories in the matters of horses actually existed in the America’s during the Plasticine Era and afterward (bone piles show us this without a doubt to be true) and quite frankly, the horse never was, or never did go, extinct. . . Interesting that the Genetic analysis of 74 human skeletons shows that the Yamnaya and Botai weren’t even related: The Botai arose from a hunter-gatherer population “deeply diverged” from the Yamnaya, the researchers say. This also confirms several theories in regard to the hunter-gatherer’s advanced survival skills and necessity of tracking and catching up with wildlife, rather than just running down wildlife on foot – as success in kills evident in many bone piles in the Northwest show — in what is now known as Alaska, as well as down to the America’s, that horses used in hunting gathering to be consistent with other wildlife bones in B.C. and in the Pacific Northwest. 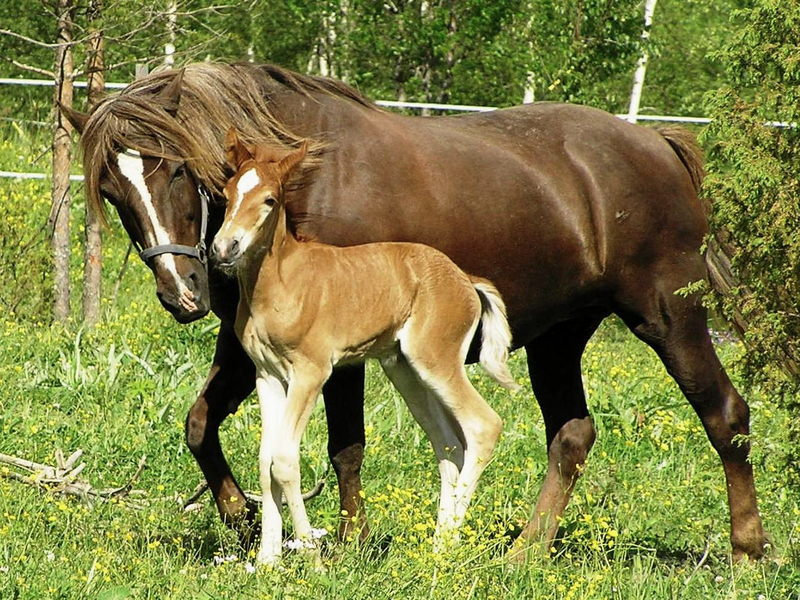 The Botai Domesticated horses did survive and became wild Przewalksis – as the hunt for clues in the genetic records continues. And the questions in the matters of the Botai people, and rode their horses into Siberia, would fit, in total compliance, to all theories and bone piles located from Siberia to Alaska, then down into the Americas, as a per-existing community of horse-bones show us. . . This reaffirms the more elaborate horse bone finds in British Columbia, and those into Washington State and within the area of the Oregon Ice Caves, among others. We are not, by any means what so ever, done with accumulation of facts and evidence of our history, as the pre-European Invasion history shows us quite well. The history and evolution of the horse is no different, and never has been actually — A matter of perception? No doubt, and corrected on a continuous basis, whether the human species accepts it or not . . ..
To ridicule or even develop a pre-tense that all has been found, and all is definitive, toward one mind-set and in opposition to another, is pure clap-trap and unsupportable, as well. . . The Human-Problem exists, and remains alive and well, with notable problems of perceptions becoming more true than truth itself, and especially with our history, and with, at times, what we even did yesterday. But one thing is for sure, and make no doubt, the link to our Horse History is complete, and they never died off, as there is no supporting evidence of such, in America — the fact is, because there exist missing bones, which is not evidence, that just means those bone-piles or remnants have, very simply, not been found yet — The Truth is Out there, and exists, whether any of us agree with that or not. Mallory, J. P. (1989) in In Search of the Indo-Europeans (Thames and Hudson, London). Lister, A. M., Kadwell, M., Kaagan, L. M., Jordan, W. C., Richards, M. B. & Stanley, H. F. (1998) Ancient Biomol. 2, 267–280. Vila`, C., Leonard, J. A., Go ¨thersto ¨m, A., Marklund, S., Sandberg, K., Linde ´n, K., Wayne, R. K. & Ellegren, H. (2001) Science 291, 474–477. Oakenfull, E. A. & Ryder, O. A. (1998) Anim. Genet. 29, 456–459. Bjo ¨rck, S., Kromer, B., Johnsen, S., Bennike, O., Hammarlund, D., Lemdahl, G.,Possnert,G.,Rasmussen,T.L.,Wohlfarth,B.,Hammer,C.U.&Spurk,M. (1996) Science 274, 1155–1160. Eisenmann, V. & Baylac, M. (2000) Zool. Scripta 29, 89–100. Bowling, A. T., Del Valle, A. & Bowling, M. (2000) Anim. Genet. 25, 1–7. Ishida, N., Hasegawa, T., Takeda, K., Sakagami, M., Onishi, A., Inumaru, S., Komatsu, M. & Mukoyama, H. (1994) Anim. Genet. 25, 215–221. Ishida, N., Oyunsuren, T., Mashima, S., Mukoyama, H. & Saitou, N. (1995) J. Mol. Evol. 41, 180–188. Kavar, T., Habe, F., Brem, G. & Dovc, P. (1999) Anim. Gent. 30, 423–430. Kim,K.-I.,Yang,Y.-H.,Lee,S.-S.,Park,C.,Bouzat,J.L.&Lewin,H.A. (1999) Anim. Genet. 30, 102–108. Xu, X. & Arnason, U. (1994) Gene 148, 357–362. Bandelt, H.-J., Forster, P., Sykes, B. C. & Richards, M. B. (1995)Genetics 141, 743–753. Bandelt, H.-J., Forster, P. & Ro ¨hl, A. (1999) Mol. Biol. Evol. 16, 37–48. Forster, P., Harding, R., Torroni, A. & Bandelt, H.-J. (1996) Am. J. Hum. Genet. 59, 935–945. Saillard, J., Forster, P., Lynnerup, N., Bandelt, H.-J. & Nørby,S.(2000)Am.J. Hum. Genet. 67, 718–726. Forsten, A. (1998) Q. Sci. Rev. 17, 1097–1100. Schreiber,A.,Eisenmann,V.,Zimmermann,W. (2000)inEEP,AsiaticEquids, Husbandry Guidelines, ed. W. Zimmerman (Zoologischer Garten Ko ¨ln, Ko ¨ln, Germany), pp. 1–34. Prado, J. L. & Alberdi, M. T. (1996) Palaeontology 39, 663–680. Raulwing, P. (2000) in Horses, Chariots and Indo-Europeans. (Archaeolingua, Budapest). Wilson, I. J. & Balding, D. J. (1998) Genetics 150, 499–510. Xu, X., Gullberg, A. & Arnason, U. (1996) J. Mol. Evol. 43, 438–446. Epstein, H. (1971) in The Origin of the Domestic Animals of Africa (African Publishing, New York), Vol. 2. Nissen, J. (1997) in Enzyklopa¨die der Pferderassen: Europa, Band 1 (Kosmos, Lisbon). d’Andrade, R. (1945) Boletim Pecua´rio, XIII, 1–13. Ebhardt, H. (1962) Sa¨ugetierkundl. Mitteil. X, 145–168. Uerpmann, H.-P. (1990) Madrider Mitteil. 31, 109–153. Loftus, R. T., Mac Hugh, D. E., Bradley, D. G., Sharp, P. M. & Cunningham, P. (1994) Proc. Natl. Acad. Sci. USA 91, 2757–2761. Bradley,D.G.,MacHugh,D.E.,Cunningham,P.&Loftus,R.T.(1996)Proc. Natl. Acad. Sci. USA 93, 5131–5135. Troy, C. S., MacHugh, D. E., Bailey, J. F., Magee, D. A., Loftus, R. T., Cunningham, P., Chamberlain, A. T., Sykes, B. C. & Bradley, D. G. (2001) Nature (London) 410, 1088–1091. Luikart, G., Gielly, L., Excoffier, L., Vigne, J.-D., Bouvet, J. & Taberlet, P. (2001) Proc. Natl. Acad. Sci. USA 98, 5927–5932. Boyd, L. & Houpt, K. A. (1994) in Przewalski’s Horse, the History and Biology of an Endangered Species, eds. Boyd, L. & Houpt, K. A. (State Univ. of New York Press, Albany), pp. 195–228. Levine, M. A. (1999) J. Anthropol. Archaeol. 18, 29–78. Hemmer, H. (1990) Domestication: The Decline of Environmental Appreciation (Cambridge Univ. Press, Cambridge, UK), 2nd Ed. d’Andrade, F. (1973) A Short History of the Spanish Horse and of the Iberian ‘‘Gineta’’ Horsemanship for which this Horse Is Adapted (Lisbon). Levine,M.A.(1999)inLatePrehistoricExploitationoftheEurasianSteppe,eds. Levine, M. A., Rassamakin, Y., Kislenko, A. & Tatarintseva, N. (McDonald Institute for Archaeological Research, Cambridge, UK), pp. 5–58. Anthony, D. W. (1995) Antiquity 69, 554–565. Linduff, K. M., in Steppe Adaptation and the Horse, eds. Levine, M., Renfrew, C., Boyle, K. (McDonald Institute for Archaeological Research, Cambridge, UK), in press. Let’s go back in time. On December 15, 1971 Congress passed the WH&B Act of 1971. This was a “unanimous” situation, and as many Senators and Congressmen alike, explained, it was “. . . the will of the people.” Yes, saving America’s Wild Horses (Equus caballus) and Burros (E. asius) on Our Public Lands, and against ranchers, government tyranny, and ignorant and bias mind-sets – and from going to slaughter or rendering. The Wild Free-Roaming Horses and Burros Act (Public Law 92-195 – The Law) described these animals as “fast-disappearing symbols of the historic and pioneer spirit of the west” and indeed, cowboys are nothing without their horse – and it is the horse, not cowboys, that are the legend – Ironically, right now we have anybody with a cowboy hat, and even pretend to have one, talk about horses – although, many of us see through their contemptful “garbage in – garbage out” mind sets. America Spoke – Congress listened (how unique), and for very significant reasons. The Wild Horses on our Public and Federal Land needed protection from scammers, liars, screamers and ranters, corporations, and yes, even non-profits at that time. Interesting here, as we start to see and understand the “corrupt nature” of our Federal government’s corrupt “Grazing Permit Program”, is that everyone wants their share of taxpayer money, or else. Both the Bureau of Land Management (i.e. BLM) and the U.S. Forest Service (i.e. 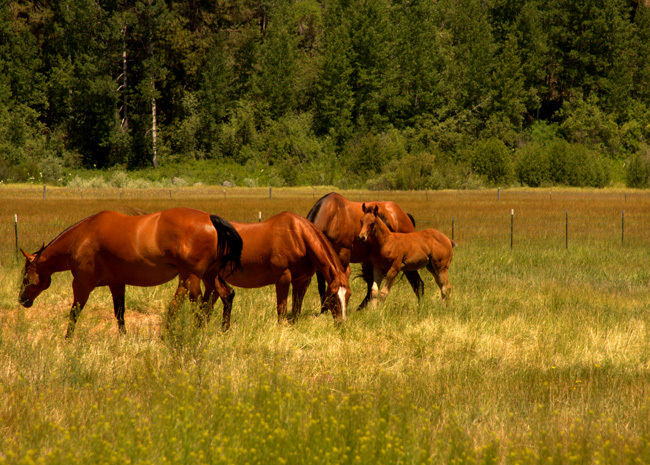 USFS), as the law shows us, are responsible for administrating this exact Law – Need we remind these government agencies and their employees, America built on this foundation of Law – of responsibility and when Laws Broken, those who do so taken to task – and this Law specifies as to how the wild horses and burros are to be managed. . .
Now, here is where the Act mentioned above gets interesting. “. . .designed to achieve and maintain “thriving” natural ecological-balance on public lands (Federal lands within this comment was understood). The current and ongoing management paradigm, unstated, from BLM Range Managers and those in the WH&B Program, assume a status of Single-Species Priority = Cattle, and ignores in total the WH&B Act of 1971 – which is illegal, and also biologically irresponsible and denotes corruption in total. “. . . Agent: Is this a pretty good organization? This sounds like something that’s pretty well planned out, it’s a big organization. Here is where things become even more interesting, especially for Horse Advocates, and simply the facts alone show us “No Need” for breed controls what so ever – rather, there is an extraordinary need for the government legal entities, the Checks and Balance System of Justice, to take over and re-establish this very corrupt government agency, and directly manage the Wild Horses by the Laws already in place and within the WH&B Act of 1971. So, let’s jump forward, to 1993. 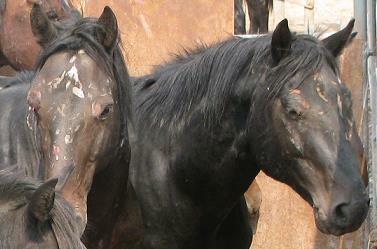 The act required that BLM maintain an inventory of Wild horses and Burros on America’s Federal / Public (i.e. FP Lands) Lands. Every 3 years a census, and keep this term in mind, as recommended by the National Academy of Sciences (i.e. NAS remains nothing more than government researchers — more special interest corruption, keep this in mind as well) was to be accomplished. The WH&B Board met every few years, and it is only within the recent decade that they started meeting every few months (see $$$$ waste of taxpayer money), which is “not” defined, nor by regulatory measure, meant to do so, as found within the WH&B Act of 1971. It has become nothing more than a cash-cow for the people on the board; nor, does this WH&B Board abide by the WH&B Act of 1971, which it was formed to assure the taxpayer’s the BLM / Forestry did abide by the Federal Laws (i.e. Public Law 92-195). In 1993 we find the Wild Horse population to be, as BLM states, 46,500 — although even then we see very telling erroneous figures, and the necessity for Stallions and foals to give birth to more foals, as with the mares of all ages (the BLM employees have always been a joke, so to speak, and yet, extremely corrupt and quite obvious, which brings about many more questions about government integrity, government Law Enforcement, and Laws in general). . . quite clearly, I might add. . . they simply lie – nobody can truthfully be that bad at simple arithmetic. . . and nobody this dumb to assume the average taxpayer in America would consider these “Biologically Impossible Birth Rates” to exist – or do they? It was also explained, within all documentation back then, that there exists a 15% error margin for the Wild Horse counts, and a 25% margin error on Burros. We also found no averaging, nor even attempts at considering “Birth Rate versus Death Rate” within their calculation of “census”, nor over the next few decades of doing the actual census / counts. So, we have very definitive questions, and certainly questions toward the credibility of these “census” figures at that time; and also now, for the matter of credibility, and for the similar reasoning of quantifiable-information and data, that would even come close to an accurate Wild Horse or Burro count. And here is where we start running across the very questionable history of these supposed “Census” considerations toward the Wild Horse and Burro counts – as we use the term loosely here, as there exists no one, and I mean no research scientists nor accountants, nor statistician’s that will agree, within the slightest, that these counts are any type of “reality” what so ever; thereby, BLM employees only, and their credibility, over decades, simply unavailable and unbelievable – they lie and lie a lot. Then we go to the 5% to 25% increase of Wild Horses and Burros yearly, so they say. And within the same paragraph, yes this is how ridiculous this is, they make the statement “. . . depending on the range and environmental conditions, with 15% being a long-term average. At this rate, the population of wild horses may double every 5 years.” One cannot make this up, and one also wonders about the qualification on becoming a BLM employee – Nepotism? Same Church group? Who knows? But that is the subject of yet another article, as well. One can also assume “Organized Crime” taking place – they know the Laws and actually breaking these Laws daily! But ironically, rather than subdue this paradigm of corruption, BLM employees and administrators very adamant in attempts at conducting a continuous stream of lies, misinformation, and confusing issues – is this purposeful, or just attrition? Quite obvious they could care less, as they go to court, they lose most often, and yet never change to abide by the Federal Judge Rulings, and very well documented as such – and where are the legislators, or legal entities to keep them in check? After questioning many Oregonians, Washingtonian’s, and those in Nevada and Wyoming, we find no one, not one person, would back up these initial figures, or BLM figures from 1993 – and the truth? In all conversations, neutral people and living at that time as adults, in their minds the counts being way too many horses within the BLM counts, and considered false information, even back then. Yes, BLM and the Forestry very condescending, and their information is more assimilated toward talking-down to the very Taxpayer’s that pay taxes, that pays them – the Reality? They work for us – their lies extremely childish in many ways, and their outright disrespect toward taxpayers and American’s alike, shown within how they treat America’s Wild horses! Time for Change within these very Corrupt government organizations! The growth in the Grazing Permit Budget, at the time escalated 10-fold, where at one time a mere few thousand dollars existed in the Range Land Management Budget and Grazing Permit Program, escalated to $-millions immediately, once ranchers and special interests started to populate the Administrative branches of the BLM and Forestry; whereas, at the beginning, no subsidies — to very little – existed, or went to the Welfare Ranchers holding Grazing Permits; then, escalated to several thousands of dollars, to those who were aware of the government hand-outs, and hardly any per-AUM Unit payment to the BLM or Forestry made at that time – and is still $1.35 per AUM Unit. Although, these payments simply disappear in the accounting system – with no Procurement Process to assimilate or be held accountable for the money taken into this account, or out. . . But not only are there many questions here, but the overwhelming bad-attitudes from the government agency employees’ themselves, and toward the taxpayers as well as the wild horses, the growth of the Corruption exponential, dirty-dealings and lies out of proportion and very obvious, and within many other subsidies’, began during this time. Despite all of the dramatic rhetoric we see, daily now, on wild horse populations on our Public and Federal Lands, the FACTS and EVIDENCE remains quite clear – In Reality, there Exists No Wild Horse Over-population at all and yet there exists people that want to continue Breed-Control programs on Our Nation’s Under-populated species of Wild Horses. The information here speaks from Evidence, their rhetoric speaks from undocumented opinion only, and in the form of sudo-science and outright lies, that simply does not exist at all. 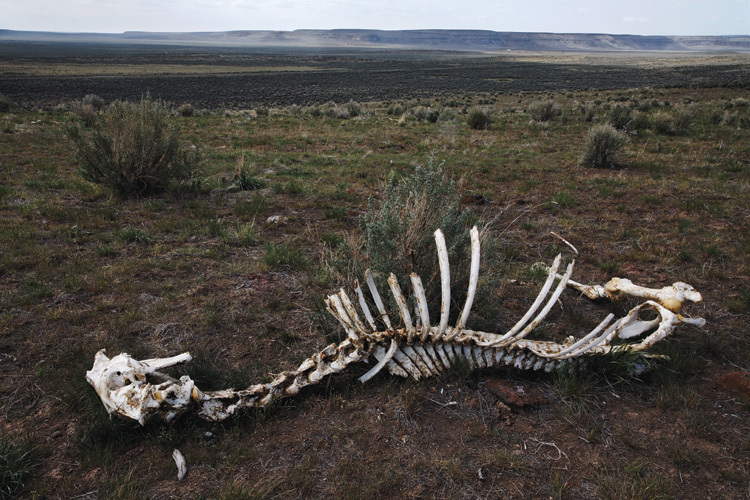 In truth, it is very expensive, this unconscionable “Extinction” mind-set cloaked within the corruption of a government Grazing Permit Program for the Cattle industry, which also promotes Slaughter of our Wild Horses. 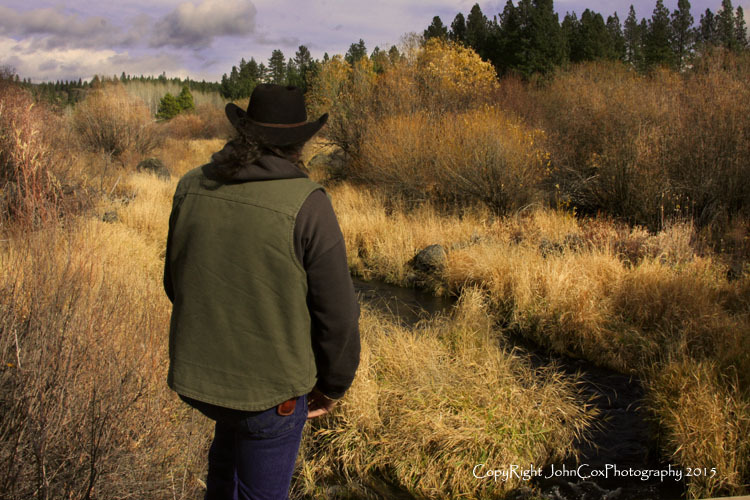 What we are finding, currently in early 2019, is an overabundance of misinformed and outright lies about wild horse populations. . . Fly-overs, actually being present on the Public and Federal Lands, as well as consistent observation at several large sites, where wild horses “were” located, we now discover either a low-population of wild horses, as well as many Zeroed-Out completely, of wild horses — a sad fact of our present culture based on mythic lies and ignorance — many “Horse Bands” on many HMA’s, sadly, do not existent any longer. Almost an all-telling situation of where America is going, downhill and to extinction, symbolically within the wild horse tragedy as well. 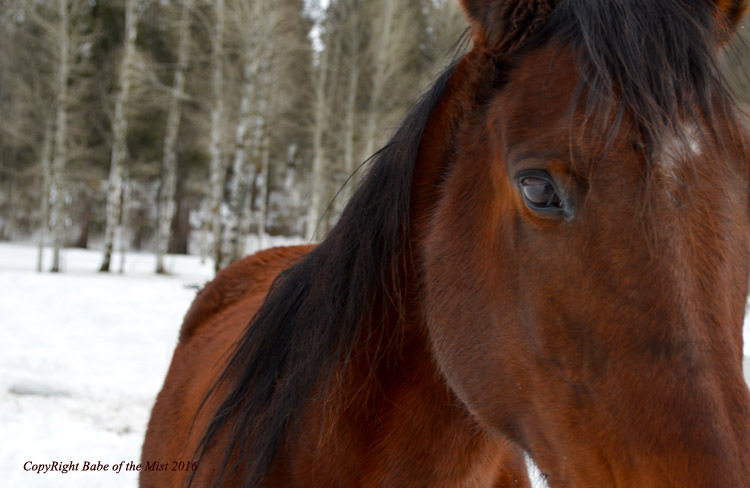 We find “rhetoric” in the matters of the “Slaughter-Pipeline” conversation has increased, along with several old and worn out excuses for taking wild horses to slaughter . . . This very ignorant classification of being “Livestock” tells us just how arrogantly our political process, as well as how apathetic our Industrial process has become, and assumes these mind-sets as some type of a reality, when indeed the wild horse is of Nobility, of a Stature that represents what America was built upon. . . and taking its freedom with such profound ignorant ravings that lack any type of proof or truth at all . . . Adverse to what America is, or was, about what so ever. We also find a major flow of misinformed-rhetoric, and even an odd robotic “canned response” in the use of “breed controls” (i.e. Pesticide PZP one of many others) conversation, and within the “Pro-Extinction” groups, that feel taking them to “Extinction” apparently to them, remains far more Humane than slaughter, or just, in fact leaving them alone and on the range itself; whereas, good legitimate science shows us “Moderation” of all wildlife population develop when left alone over time — (i.e. E.O. Wilson and many others) . . . Ironic, to say the least, is the fact the “Pro-Extinction” groups apparently assume they are saving the wild horses, even though evidence plentiful that shows that to be untrue – but with no evidence supporting this as any type of fact, other than their rhetoric, is quite telling in the matters of just what type of participation many of these groups and their followers or members take. Ironically, “Pro-Extinction” groups “canned-responses” never admit the “Extinction Conversation” exists, but statistics, observation, combined with a very steady flow of obvious evidence, serves as a continued reminder, that there is not only a lot of confusion from those who never come out to the HMA’s or range at all (e.g. 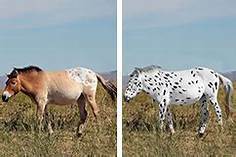 in the inner-circle of legitimate research and observation, we call these people CPWC’s or Couch Potatoes with Computers), but misinformation on wild horse populations in serious error, and are indeed under-populated — yet Breed Controls used upon them, ironically, as if to save them. Yes, this is very questionable conduct by people, and ignorance alive and well, as we see it on the increase in America – and yes, as ridiculous as it sounds, their mind-set of saving an under-populated species of wildlife by using Breed-Controls quite telling within its “reality” concept and usage. Percentages of population counts, without evidence of any “Control Point” of authentic statistics-gathered, as a basis toward any percentages used within a management paradigm, which “good research” criteria and process always have and within the starting point of any Field Research, in truth, remains non-existent within all research and from Bureau of Land Management (as history shows quite well) Range Management of wild horse populations; which, promotes a false-type of scientific research (often referred to as Malicious Science – political agenda driven or special interest information only) that is and remains not-quantifiable, and not backed by neither reference nor any type of precise evidence that could be used within any moderate decision making process. Conclusively, this deplorable type of research (which is not research at all) does “not” create or develop any type of future or appropriate management decisions. This is the ways and means of outright Corruption, and with no oversight, this government agency getting away with it quite consistently over the years – at the expense of taxpayer’s money — and many useful programs for the American Public and taxpayer’s, simply left without budgets, and these useful programs discontinued, to cover this BLM Corruption within our Public and Federal Lands, and within their corrupt Grazing Permit Programs, especially. Many of us today promote the educational values of reading. Many folks read, but what is the quality of their reading. I bring this up, because we discover the quality of those that read, today, is very low and things are missed, quite often, that become significant later. The quality of research remains similar, and the small innuendos between contrivance, confusion, and controversy become issues of concern. Just as often the mental-filtration of information or our perceptions, become self-contrived, and we accept some things, but more often than not those other things we do not accept, or unconsciously pass-by as inconsequential – The problem starts here, as those “things” we neglected to understand, were indeed significant within explanation. This is not quite malicious-science (driven by personal agendas, special interests, or political concerns) or of a malicious nature, but “snobbery” (ie. A significant explanation and something no historian want to reference at times) as well as the issues of “process” or what we can accept as a paradigm or idea, especially within financial realms of budgets for digs, between the financing and logistics of such an expedition, it’s simply not easy undertaking. It is when so many questions develop, from the overlooked, or often precisely ignored issues come into the light, that suddenly the old-paradigms of fact become “castles made of sand that wash out into the sea” so to speak. Suddenly, budgets obtained and dig-sites once again “unearth” information previously overlooked. What we must not overlook either, is the fact of those bones which appear insignificant, are tossed aside. Are all archeological discoveries found through sound science and financing of a dig site? We can go to the Pygmy Mammoth site of Channel Islands National Park, California, where the Archeology crew were having lunch on the island, where one of the crew sitting on the head of a Pygmy Mammoth (unknowingly since such a small portion uncovered), and was not discovered until days later, and upon second thoughts during another lunch at the same site – financing through the National Park Service easily accomplished when they realized the reality. Not so with many other types of digs. 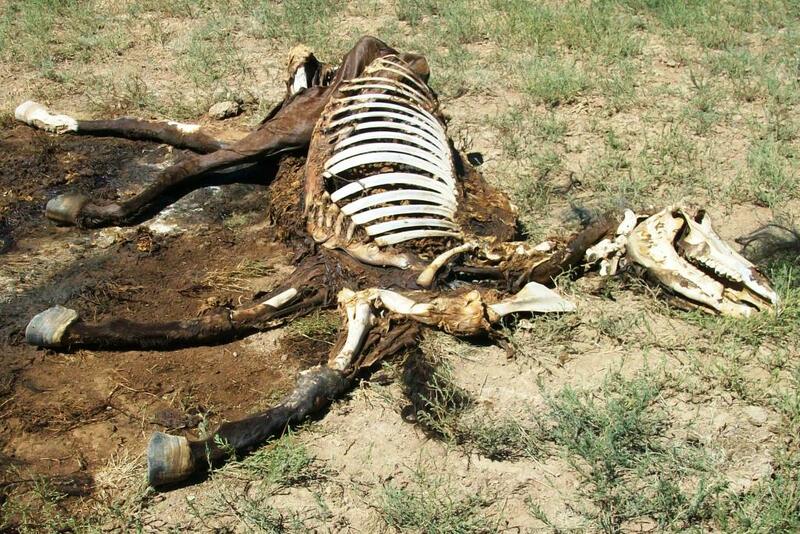 Keep in mind that the key-piece to non-survivability of the “horse” is predicated upon “. . . not such good evidence. . .” as much as upon conjecture, opinions, or a convoluted-theory or non-availability of bones – but this is not a truism either, currently (it is simply acceptable to accept this theory, and to remain out of controversy, then actually approach it, as the actual snobbish and conservative aspects of this community is quite extraordinary, indeed). Now the questions start to multiply, but wait, there is much more. Yes, a minute detail often overlooked by many, but a reality just the same (and the many dig-sites where horse bones are showing up, surprisingly many, in the Pacific Northwest, for example, of many more – and I will cover them in Part II and Part III of this series). “The University of Colorado study was the first to identify protein residue from extinct camels on North American stone tools and only the second to identify horse protein residue on a Clovis-age tool. A third tool tested positive for sheep and a fourth for bear. All 83 artifacts were shipped to anthropology professor Robert Yohe, of the Laboratory of Archaeological Science at California State, Bakersfield, for the protein residue tests. “I was somewhat surprised to find mammal protein residues on these tools, in part because we initially suspected that the cache might be ritualistic rather than utilitarian,” Yohe said. Anthropology professor Douglas Bamforth, who led the study, said the discovery of horse and camel protein on the tools was the clincher for him that the tools were of Clovis origin. Significant here, to keep in mind, is the fact or assumption, that Clovis would be the first to use tools – oddly, we automatically assume, as well, it was for ritualistic situations, rather than the situation of just cutting up the food-supply, as we all know we are now much more civilized than human’s during the stone-age (sarcasm here), which would be the subject matter of an entirely different article. 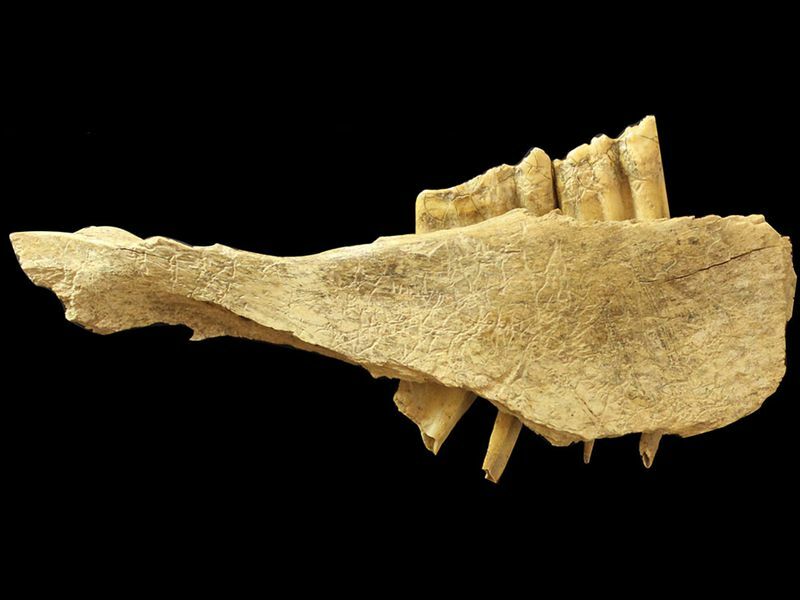 But when Cinq-Mars brought the fragments found at the Bluefish Caves back to the laboratory, he came to an incredible conclusion: humans had actually occupied North America as early as 24,000 years ago. “. . . The earliest bone to show distinct human-made marks—a horse jaw, sawed by a stone tool that indicates the hunter was attempting to remove the tongue—dates to 24,800 years ago. The horse mandible was the most exciting find for Bourgeon. It bears multiple straight cuts, very similar to those made by stone tools and distinct in shape from marks made by carnivore teeth and natural abrasion. Additionally, the cuts match the patterns that would be created from butchering the horse. Altogether, Bourgeon says, the marks on the bone fulfill multiple criteria that would classify them as having a cultural origin, whereas it would be hard to explain their existence by natural processes. “It was fairly exhausting,” said Bourgeon of their investigation in an interview conducted in French. “But I was really passionate about the project. When you see those traces of cuts on the bones, and know that horse is believed to have disappeared 14,000 years ago (note: Current finds at dig-sites in the Pacific Northwest, find horse bones dating to 2,000 to 12,000 years ago as well, which means horses actually proven to be alive and well within a time of their assumed extinction. . .), that means we can guess humans were here before. It was a huge discovery. Bourgeon and Burke’s research provides new evidence for a more recent hypothesis that aims at overturning the old ‘Clovis first’ assumption (note: which today it has overturned the Clovis-First theories, as their digs continue in the Yukon). Known as the Beringia standstill hypothesis, it states that there was a pause in human migration from Asia to North America between 30,000 and 15,000 years ago due to the frigid climate. The standstill coincides with the last glacial maximum (about 26,000 years ago to 19,000 years ago), the most recent period in Earth’s history when the ice sheets were at their furthest southward extension (think glaciers down to New York City). When we overlook the minute details, the statements made by people passively, which suddenly become relevant – is one of life’s wonders, for sure. That lunch on the Channel Islands that developed into a question days later (I was there watching as it played out, as a matter of fact), that become a very significant find on the West Coast – and spurred financing toward many other Pygmy Mammoth and horse bone finds as well. What has been found, is the fact horse-bones have a high-potential of discovery, and indeed more Mammoth bones at the same sites, as well as other ancient bones — or other grazers that also survived the Pleistocene ERA and throughout history — oddly, many thought to be extinct, and similar time-scales as the Horse, or Pygmy Mammoth . . .
Achievement, many times, marked by questions. How do these questions derive? Where do they come from? In many cases they come from the person, standing watching a situation, or experiencing a situation, and then wondering why? What? Where? When? And the ultimate How Come this was never discussed, or why was that circumstance not financed, or all this time I thought, or was told . . .
My key-point here is exact – and that is the circumstance that there is a lot more to horse history than what we know now, or should I say acknowledge? We are a society of acceptable-opinion only, and fail to do research on how or why opinions become so narrow, judgmental, process-like or even hypocritical. The actual history of the horse falls directly into dark, vast abyss that often does not reflect the light of day, and just as often, many afraid to venture forth and find out that truth – that circumstance that contradicts the very history of what we learned about, and also learned to never question it. Now we are questioning it, because things are not fitting well within the perspective, properly.